Generation Y1 in the United States is less politically inclined than older generations. Compared to the Baby Boom Generation2 in the United States, Generation Y’s lack of civic engagement is often tied directly to the change in American social and family structures. Robert Putnam argued in his book, Bowling Alone, that compared to the Baby Boom Generation, the youth of America today are less likely to attend rallies, run for local public offices, or stay informed on issues that matter to their communities (Putnam, 2000). Other scholars and journalists have also expressed that Generation Y has become too lazy to care about the issues affecting the world. This concern has caused many to argue that civic engagement levels can be returned through the use of social media. Firstly, the definition of civic engagement needs to be explored in this context. Good civic engagement is generally built on moral obligations from citizens in a democracy (Walpole, 2012). Citizens have a range of options they can do in order to be civically involved. Lester Milbrath, author of Political Participation, gave a brief sketch of what the various hierarchy levels of political involvement there are. Nicholas Berggruen is an investor and founder of the Nicolas Berggruen Institute that studies the development of more effective systems of governance. Nathan Gardels is editor-in-chief of New Perspectives Quarterly, and senior advisor to the Nicolas Berggruen Institute. 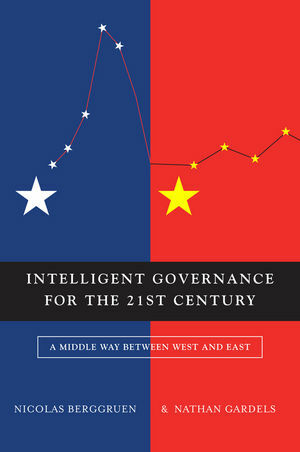 In Intelligent Governance for the 21st Century, Berggruen and Gardels critically compare the West’s liberal democracy and the East’s meritocracy. Can we learn from both? Intelligent Governance For The 21st Century. Polity Press. 2013. Is there a middle way between China’s meritocratic single-party system and the United States’ multi-party liberal democracy? This is the question that authors’ Nicolas Berggruen and Nathan Gardels ask in their provocative book, Intelligent Governance for the 21st Century. I’ve been struck by two stories running at low intensity on either side of the Atlantic for the last several months. At first, they don’t seem related. First, there is a notable uptick in anti-German sentiment that has been documented Greece and in several other countries that may need to be bailed out by the wealthier EU countries if the Euro project is to survive (See Reuters article from 16 February: “Greece-Germany tension rises, reflects wider European rift“). Secondly, the Republican Presidential primary in the United States has taken turn towards attacking the social safety net, even though the most reliably Republican regions of the United States are indeed the poorest, and most in need of the safety net (Paul Krugman’s recent article in the New York Times, “Moochers Against Welfare” is a good encapsulation of the trend). These seem unrelated, but they really have the same ultimate cause, one that has profound implications for both the United States and Europe. The trend in the United States has been going on for longer, so let’s look at it first. Republican political rhetoric has been dominated by the trope that government should not be in the business of redistributing money to undeserving people even while the poorest of the U.S. States are the most reliably Republican. Every year, rich states, like Massachusetts, Connecticut and New York receive less than a dollar in federal spending for every dollar they pay in taxes. Today, Wikipedia has taken itself offline in protest. Thousands of other sites, including the host of this blog, WordPress, are taking part by removing content or by being blacked-out, protesting the first attempt by the US government to censure and control the internet. It is a monumental and unprecedented day in the life of the internet. While the stated objective of the legislation, to tackle online intellectual property theft, is valid in principle, the effects were they to become law would have serious negative implications for the internet and may not even be effective in limiting piracy. Here are some important details about the two bills, Stop Online Piracy Act (SOPA) and Protect Intellectual Property Act (PIPA): They would allow the attorney general to create a list of sites that must be blocked. Now here is the kicker: service to these sites may be shut off without a court hearing or trial. SOPA, the bill originating in the House of Representatives, goes even further than the Senate’s PIPA, allowing private companies to sue providers for hosting sites that infringe on copyright, even if it is unwittingly doing so. Imagine Google being bombarded with lawsuits, effectively crippling it.